What does this look like on mission trips? We believe that the role of short-term missions within the context of a community becomes a partnership, a dignifying source of encouragement, a support of local churches and organizations investing into community transformation on a daily basis. As community members and local organizations are working together to generate solutions, you are a part of this movement by providing resources and support. And we desire that this movement doesn’t stop with missions, but instead, that missions supports the overall sustainability of a community through local partnerships and organizations that ultimately increase employment, further education, promote health, invest in social wellness, and create spiritual growth. If we are being honest, Community Development was not always top on our radar here at Next Step. We began our ministry in 2007, fueled by a passion to create a space for students to take the next step in their faith through week long mission trips. Although we still hold tightly to that original passion, over the years God has expanded our vision as a ministry in ways we could never have imagined. The Problem: For the last 100 years, short-term mission trips have been exactly that: short-term. The truth of the matter is that for most mission organizations like us, the ‘success’, revenue, and future relies on short-term participants. So naturally, organizations like Next Step dump a majority of their resources and time into those short-term trips. Now don’t get me wrong, this creates countless individual success stories. It creates great short-term trips, which in turn fosters new relationships with Christ, much needed service projects, new friendships, glimpses of hope, seeds for future long-term missionaries… the list goes on. However, the question still remains, how sustainable are these trips? Are we empowering the communities that we serve alongside? What type of long term impact are these trips having on these communities? Is each community better off at the end of the day because of our trips? The Solution: After a lot of prayer, conversation, and questions, the solution to us seemed pretty simple: put the same amount of time and resources into investing in the communities we serve in as we simultaneously facilitate the short-term trips. We have a vision to lead an organization that works from the inside out, where our dedication starts with community leadership, listening, humility, and investment in the communities we partner with. An organization that works alongside community partners who will continue to invest in their community well beyond our short-term trips. God has shown us that Next Step can have a dynamic role in working alongside communities as well as alongside youth groups. He has called us to serve in a new way- in a way that honors God’s pursuit of students and communities equally. All too often we confuse our intentions to serve with the intention to save. This may very well be the core of where many short-term missions efforts all-too-often become harmful. The great news is that there are opportunities all around you, right at home, to live out our call to serve our neighbors on a DAILY basis. Sound like something your group is up to? 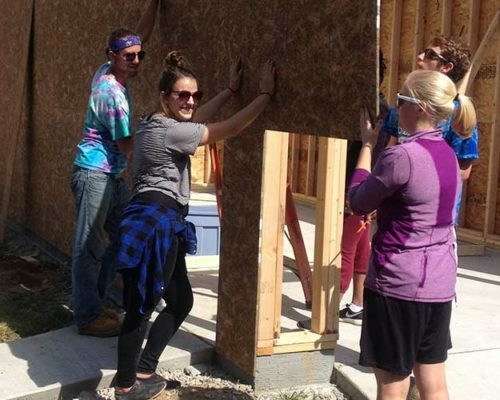 Check out these tips for engaging in meaningful service projects back home. The book of Nehemiah lays out key principals within the realm of community development. These concepts are essential to understand and are concepts we use to guide the way we lead short-term mission trips. These concepts are used as a guide when forming local partnerships and determining how we will pour our resources into a community in support of a greater vision. Compassionate Curiosity. This passage first reveals Nehemiah’s compassionate curiosity. This is the first step in pursuing restoration of a city, as he gains a deeper understanding of the current conditions of his homeland. He asks how things are going. He digs past the surface. He seeks to truly understand. Without compassionate curiosity and the willingness to listen, the wall in Jerusalem may have never been rebuilt. Holy Discontent. Nehemiah’s response to the brokenness of Jerusalem is bewildering. It’s far from our natural tendency as humans. It’s challenging in and of itself and requires us to be all in. It’s uncomfortable. Nehemiah’s response to hearing of Jerusalem’s brokenness was to mourn and weep. He empathized, and was close to experiencing the same shame his people were experiencing. But he didn’t let it stop there. Heartbreak without action is worthless. He responded with fasting and prayer, and recognition of God being the ultimate healer, redeemer, and restorer of all things. He commits to prayer day and night for the people of Israel. Listening and Learning. We have now seen Nehemiah’s compassion lead to heartbreak, and heartbreak lead to prayer and dependence on God as the restorer of a city. He was not stagnant. But Nehemiah was strategic. The Bible makes it clear he entered Jerusalem in silence. He did not enter as savior; promising restoration to the city and that he would be the means to that restoration. He did not enter with the perspective that he had the answers to this city’s challenges. He entered like Christ. He entered with humility. He entered with a heart to listen and learn. Spiritual Sustainability. Directly after Nehemiah states that they will rise up and rebuild the wall, there was opposition. As we, as the body of Christ, work to restore communities for Him, opposition will happen. Pushback will be present. Nehemiah responds with confidence in Christ. He is refusing to forget that his ultimate focus is the spiritual restoration of the Jewish people; the wall simply becomes a platform in which to do that. It’s the role of the body of Christ to join in the work of reconciliation and restoration of His world, both physically and spiritually. Contribution and Empowerment. The wall of Jerusalem was built in a way where each family in the community built a section and contributed to the overall completion of the wall. This offered dignity. This offered a sense of value. Nehemiah didn’t come in and rebuild FOR Jerusalem, but built alongside the Jews. He saw the potential that existed in the community and used the assets that already existed to complete the building process. Holistic Model. In chapter five we see Nehemiah advocating and addressing the political and social issues in Jerusalem. He didn’t focus only on the physical rebuilding of the wall or the spiritual renewal of the Jews, but focused on the entirety of the community’s needs and used a holistic model in seeking transformation. Praise and Thanksgiving. Nehemiah and the Jewish people recognized God’s faithful hand at work in bringing restoration to Jerusalem. In their humility, they were able to point all credit to Him and offer Him the glory He was due. They invited others to join in the celebration. They were thankful. The goal is for all summer projects to be selected by local leaders and partnering organizations. This assures that we are only investing in projects the community desires and is eager to be a part of. Our goal is to be led and guided completely by the informal and formal leaders in each community we partner with. This means we do not come in as outsiders and determine what is going to take place in a community, but instead listen and join in on what the community desires and is already doing. We are in the process of seeking out leadership teams that meet consistently throughout the year in each community, to not only offer feedback and brainstorm new ways to engage with the community in the summer, but to also find ways to invest more deeply in their own community throughout the year. Whether you take a city tour, engage in a community activity each day, or end the week fellowshipping with families through a meal, the importance of building relationships with the families you work with is at the core of community development. Invest in these relationships throughout the week and take ownership of building trust and long-standing friendships. Ask questions. Learn about the community. Take every opportunity you can to build new relationships, and connect them to our Partnership Coordinators, as well as community leaders. Our desire is for each family to participate in the work being done at their home. We believe everyone has something to contribute. In communities with a Partnership Coordinator, we have structured what we call the Pay it Forward program. This provides a foundation and framework for families to contribute to their project, using the skills and gifts they have. In communities without a Partnership Coordinator, we ask homeowners to contribute to the work being done on their homes in some way. So, during your mission trip, seek out the gifts of the family you are working alongside. Observe how they are participating and encourage them in the ways they are working with you. You may just find you are encouraged as well, when together, you take on new challenges and learn new skills from each other. Construction is simply a platform to meet families in each community we work in. It’s an introduction. The start to a relationship. Before and after your mission trip, our desire is for the local church, leaders in the community, and the Partnership Coordinator to build a long-standing relationship with each family we work with. Our goal is to walk alongside each family in how they can continue to get involved and engage in their own community, as well as how we can continue to support the family’s continued goals, once the construction work is complete. Our hope is to see the relationships with families we work with to not end with construction, but to start there, and begin taking steps on a journey towards personal discipleship and understanding Christ in new and deeper ways. Due to our year round presence within a community, we have the opportunity to keep your team engaged with the people and families you met during your mission trip, throughout the year. Monthly blog posts, monthly prayer updates, sustained partnership with organizations throughout the year are all ways you are able to maintain a relationship with the community beyond just one week. Community Development is a hot word. It is used a lot, and is something many people across the globe are becoming familiar with through formalized education and social media, and includes efforts such as social enterprise and micro financing. At the core, it is about empowerment, dignity, and collaboration, all with transformation and the well being of a community in mind. It is about helping communities help themselves. It is about engaging with people knowing everyone has potential and something to contribute. It is about developing leaders. It is about the local church. 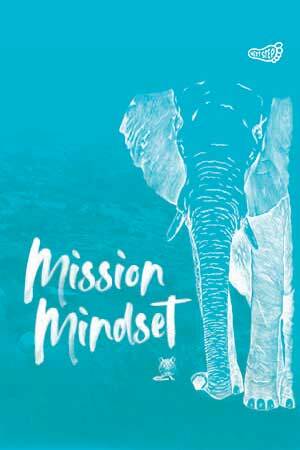 Community development isn’t possible within the context of a one-week short-term mission trip. Instead, we view our role as a short-term missions organization as a means of supporting those in the community that are doing real development work, and pouring our resources into furthering their vision. We see our role, not as community developers, but instead an organization who does missions responsibly. In short-term missions, investing responsibly is about connecting a one-week trip to the larger vision of a community. It is about connecting outsiders with local leaders to join in their efforts. It is about listening. It is about supporting and encouraging those who are fighting for the renewal of their own community, day in and day out. It is about humility. It is about working alongside a family in order to teach the family new skills, and learn new skills from the family in return. This only scratches the surface. We encourage you to continue researching and learning about this concept and how it fits within the context of short-term missions. Resources and tools are provided below to help in this process. How are the work projects on mission trips selected? Next Step Ministries works alongside community leaders, non-profit organizations, and the local church in order to organize work projects. Next Step Partnership Coordinators live and serve within the community year round and make decisions with other community members on the construction work that is done. Next Step collaborates with the community to plan the projects you will be working on in advance. How does Next Step decide to work in a particular community when forming new partnerships? There are two unique aspects to the community partnerships we have, which are addressed in any new community relationship. The first component is our ten-year commitment in a community. When establishing a new partnership, the conversations always centralize on a ten-year plan. We desire to really learn about the community and grow with the community. This takes time. The second component revolves around how new partnerships are formed. Our model is based on invitational only. We want to avoid entering a community because we think the community needs Next Step, or reach out to initiate a partnership to benefit ourselves. The desire is that a community and local church is already doing work in the community. In their desire to transform and revitalize their neighborhoods, they reach out to ministry partners to join them in the work they are doing. If in the case they reach out to Next Step to join in the partnership there, our team will then spend some time initially in the community to meet together and decide it would be a great fit for both ends of the partnership. How does a community-based model of missions impact the relationships we will form, and the work we will be doing throughout our weeklong mission trip? During your week in a community you can expect to learn about the community you are immersing yourself in AND join in on a piece of the work that is being done to tackle a much larger and long-standing vision. This will of course mean building deeply rooted friendships and engaging with other local ministries and churches. This does not mean you will always see the fruit of your effort, or be investing in what you may determine is the best for a particular community. It’s always important to understand the core of community development; time, trust, and humility. Situations may not be exactly as they appear. The work you are doing may not be what you expected, BUT you can trust the relationships you form and the work you are investing in is a part of a much larger, community-driven, strategic vision. What is a typical week for a Partnership Coordinator? Each week looks significantly different for a Partnership Coordinator. This position is a part-time position, with intention that each Partnership Coordinator is able to spend the other half of their ‘working days’ integrating into the community. This could come in the form of a waitress, teacher, coach, youth pastor; the list goes on. Throughout the year Partnership Coordinators are investing time in both the planning, preparation, and follow-up involved specifically with the mission teams visiting during the summer, AND, programs and projects designed to specifically engage with the community and the long-term needs that exist. This includes home visits to set up construction projects, discipleship and follow up with a resident after the summer is complete, navigating community members through the health system, meeting with community leaders to guide and make decisions for the work we are doing, prayer and Bible studies, etc. Each community is vastly different, so for that very reason many Partnership Coordinator’s spend their weeks much differently than others, working towards specific goals and the larger vision of the community on a daily basis. Are we actually empowering the families in the community, or are we keeping them in a state of need by coming on a mission trip? Each project we work on during the summer goes through an application process. A part of this application process includes a commitment from the homeowner to contribute to the overall project. We believe that every person has something to contribute, something to offer. The contribution may be something you see during your weeklong trip, or it may be something behind the scenes. Each scenario is different, meaning not everyone can work physically on the home repairs. That said, contribution could come through providing a meal, offering a gift, financially contributing to the materials, donating personal tools, the list goes on. When someone is offered the gift of contribution, they are empowered and dignified in the process. Does our work, in any way, hinder the work of those who are working and living in the community day-in and day-out? The goal is to come alongside what the community is already doing, not to take over. As shared above, we commit to a partnership within a community on an invitational basis only. This means that the community has asked us to work in their community, alongside the vision they have created. As opposed to us, as outsiders, entering a community with our own plans and dreams and hindering what’s going on in the community already, as well as those working and living there throughout the year.